Reasoning & Analytical Ability - 25 marks. There are total 100 questions that contains total 100 marks. Negative Marks: There are no negative marks in PA/ SA written exam. Computer/ Typing Test (Paper-II) : After qualifying in written examination, shortlisted candidates will be called for computer typing or Data Entry test in English/ Hindi. Accuracy and Speed shall be evaluated of both Typing and Data entry tests put together tests. General Awareness : Questions will be asked from Current Events, Sports, History, Geography, basic economics, general politics, Indian Constitution, Science Environment etc. English Language : All questions are English grammar-based. Prepositions, adverbs, conjunction, direct/indirect speech, singular & plurals, tenses, antonyms/synonyms etc. Numerical Aptitude : Basically mathematics questions from matriculation/ 10th standard exam. This section covers number system, simplification, decimals, corrections, simple & compound interest, percentage, average, profit & loss, menstruation, time & work, time & distance etc. Reasoning : Coding/Decoding, blood relation, series (both numerical and alphabetical), Data Sufficiency, odd one out, seating arrangement, diagram etc. 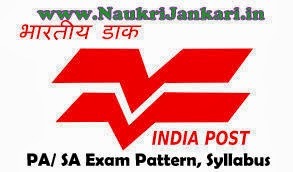 0 comments for " Syllabus, Exam Pattern for PA/ SA Recruitment Exam "